Earthquake strikes central Italy leaving several dead. The areas affected are part of an historic region – popular with visitors at this time of year. “The earthquake happened in the intersection of four regions in the centre of Italy. Lazio, Umbria, Marche e Abruzzo, in a triangle between Perugia, Ascoli Piceno and Rieti. 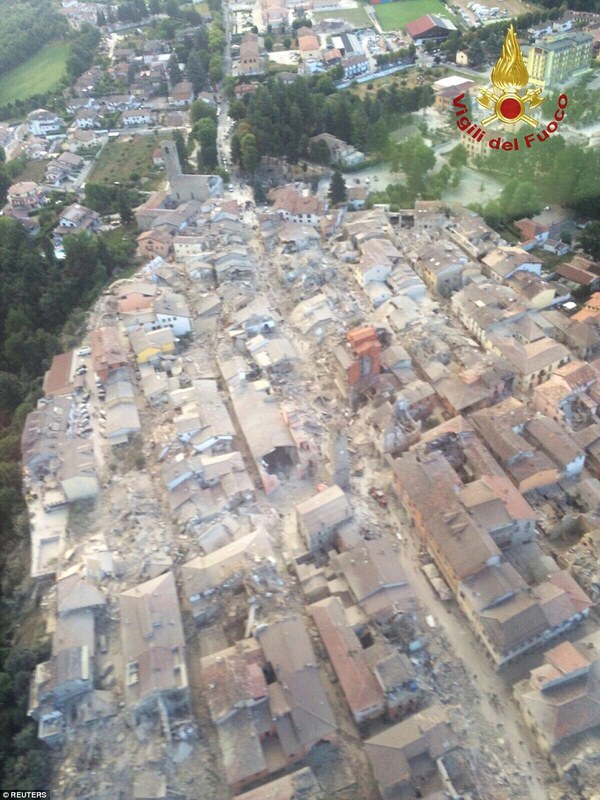 The worst damage seems to be around Rieti,” she explained. “The affected area is a historic region, with little villages, very touristic in the summer. “These towns double their population in July and august. It’s not an area with large buildings. “Most of the damage is affecting houses in the historic centres, houses made of rock. At least 10 dead after 6.2 magnitude earthquake rocks central Italy. 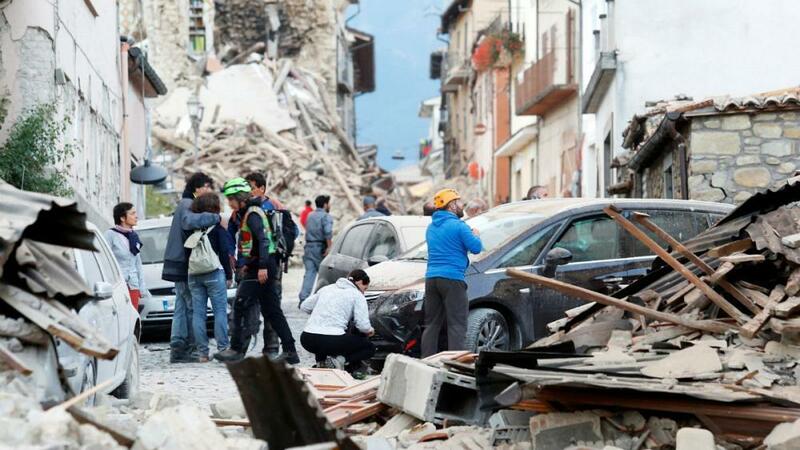 A powerful earthquake has rocked Italy overnight killing at least 10 people and burying many more as they slept. The 6.2-magnitude quake at around 3.30am local time was so powerful it rocked buildings in the centre of Rome more than 100 miles away. Survivors have described 'apocalyptic' scenes in towns and villages near the city of Perugia - the capital of the tourist-packed Umbrian region, which is especially popular with British holidaymakers. At least 10 are feared dead in the earthquake after people were crushed by falling buildings or suffocated by the rubble. The earthquake also caused landslides. Its epicentre was in Norcia in Umbria, about 105 miles north east of Rome, while the hardest-hit towns were reported as Amatrice, Accumoli and Norcia and there are thought to be multiple fatalities. The mayor of Accumoli, Stefano Petrucci, said this morning: 'My town isn't here anymore' as people were carried out of ruined buildings on stretchers and people desperately searched the debris for survivors or sobbed as they inspected their own ruined homes. 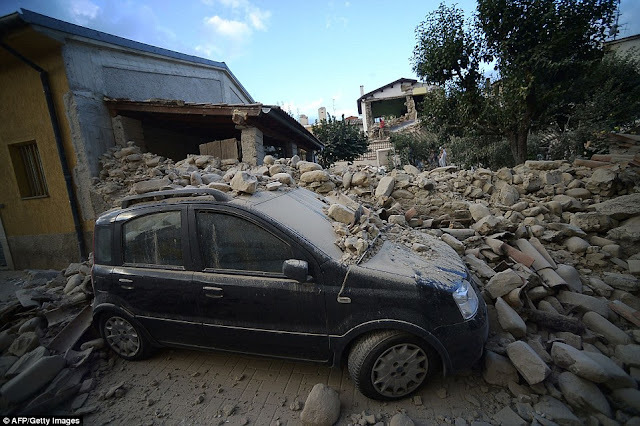 The first victims of the devastating quake were an elderly couple whose home collapsed in Pescara del Tronto, in the Marche region, around ten miles from the epicentre. A family of four were also reported dead in the town of Accumoli.